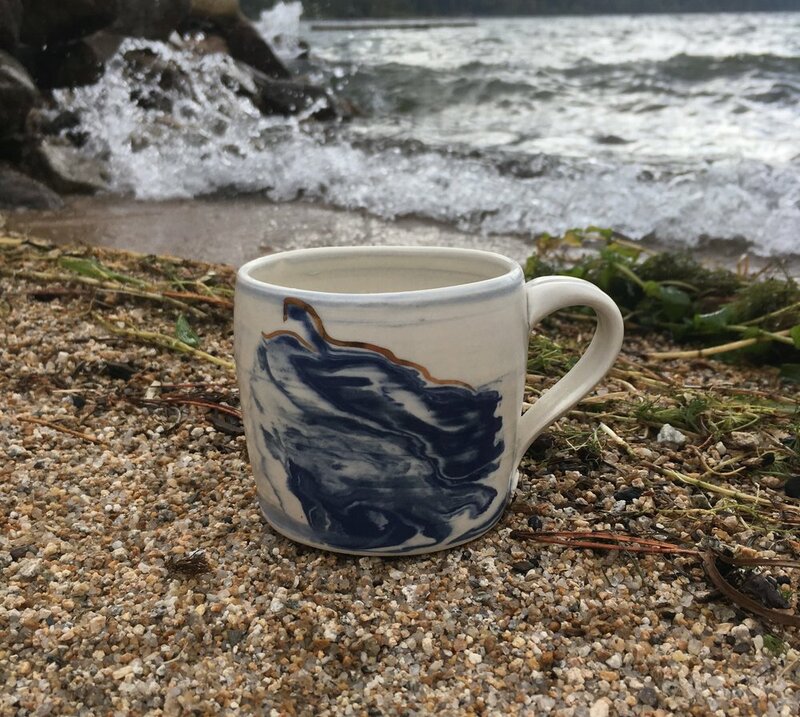 Yuki is an artist based out of Nelson, British Columbia with a focus on hand made, wheel thrown ceramics. She discovered her passion for working with clay attending the Kootenay School of Arts to study ceramics. Based on Nelson's North shore, her lake front studio drives her commitment to sustainability and natural processes. Using a mixture of white stoneware clay, porcelain, and stained clay, she creates pieces with minimalist patterns. Yuki mixes her own glazes and is constantly experimenting with new techniques. Pieces that don’t make it into her kiln are placed in water, dissolved into a clay slurry, and spread out to dry and wedged back into usable clay. This is all done in the effort to minimize waste. Yuki's work is born out of a childhood that was lived in the outdoors. Her creative energy comes from being surrounded by the vast mountains, lakes, forests, and oceans of British Columbia. Her piece often are created to reflect this rock and wood. With simplified designs, she reveals the natural elements at work within the medium, showing that beauty can be built without machines. Used clay is collected, dried and recycled. Pieces that aren't fired are recycled into usable clay. Yuki's inspiration comes from her surroundings in British Columbia. The mountains, lakes, and forests are often represented in her work.